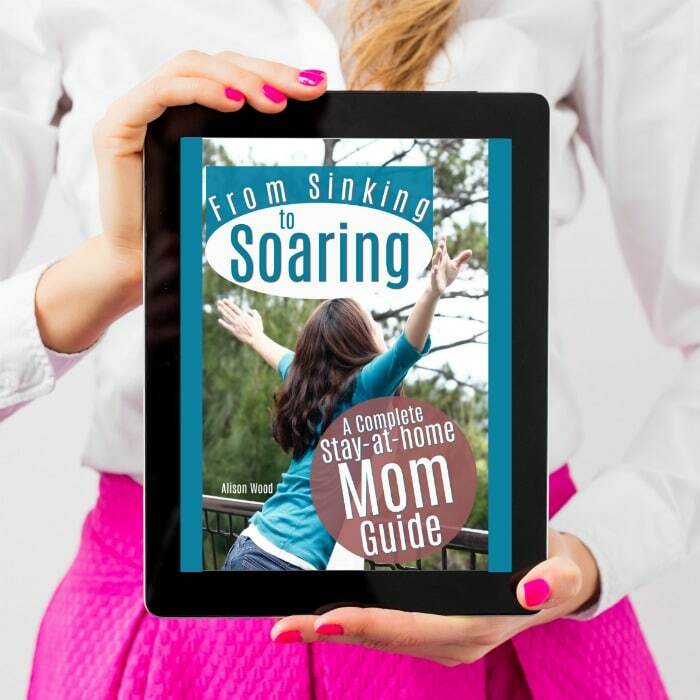 Stop sinking in your stay-at-home mom journey and start SOARING! Stay-at-home moms are drowning in their daily responsibilities. There's little encouragement as far as bonuses, raises and even a supportive team. But, I want to change that! 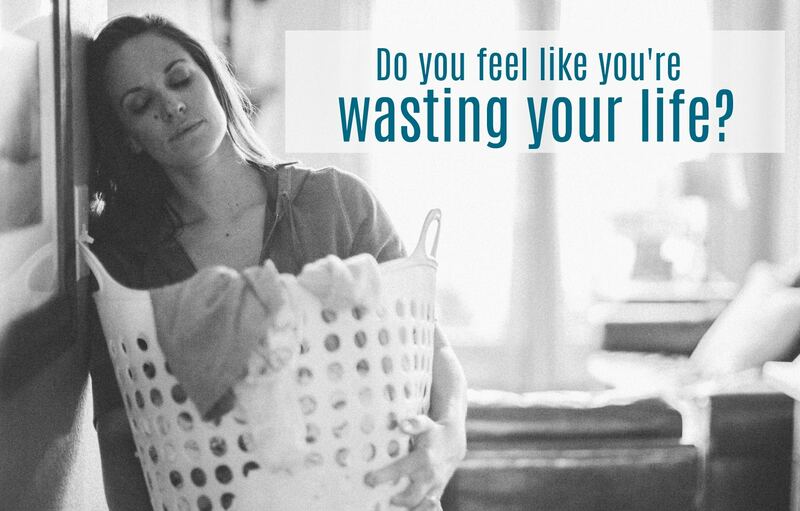 Do you believe you're wasting your life as a stay-at-home mom? Do you believe you're not making a difference? Don't let others convince you that you're not having a major impact on society. When you soar as a stay-at-home mom, you guide your children to become faithful, upstanding adults. Those well-balanced kids are the future of society! You also establish a haven where your husband, children and friends can find peace and security in an insecure world. But soaring as a stay-at-home mom doesn't come easily. If you sink in your stay-at-home journey, many of those valuable benefits of a stay-at-home mom are lost. You need a plan to stay focused. You need a method to keep you soaring. You need an encourager to listen and motivate you when days are tough. You need a vision to help you reach your stay-at-home mom goals. And that's exactly what From Sinking to Soaring gives you! 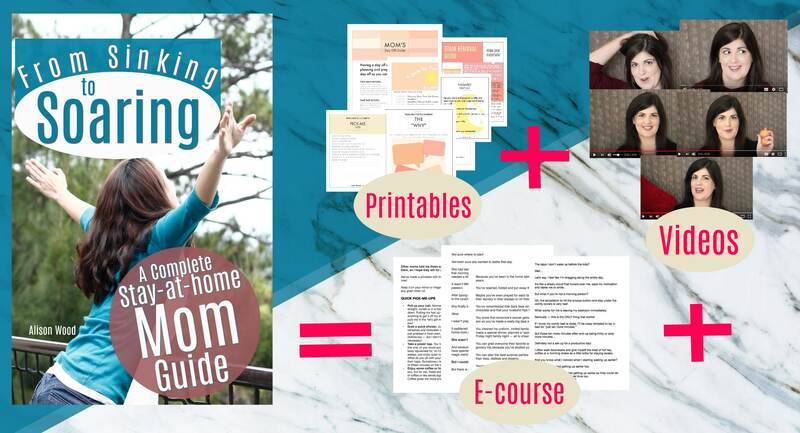 From Sinking to Soaring is a complete stay-at-home mom guide that's complete with videos, printables and actionable tasks to keep you motivated, focused and passionate! 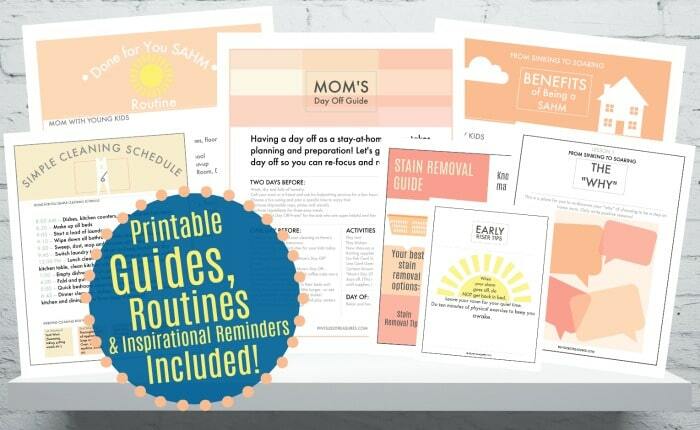 After each lesson, you'll be encouraged to take a new leap in your stay-at-home mom journey. Some lessons will be simple. Each lesson clearly explains why that specific lesson is crucial to help you climb out of the joy-stealing swamp of unmotivated moms. You'll stop daydreaming over the life that could have been and bloom in the life you're blessed to live now. And the printables? They'll help you stay organized and focused! 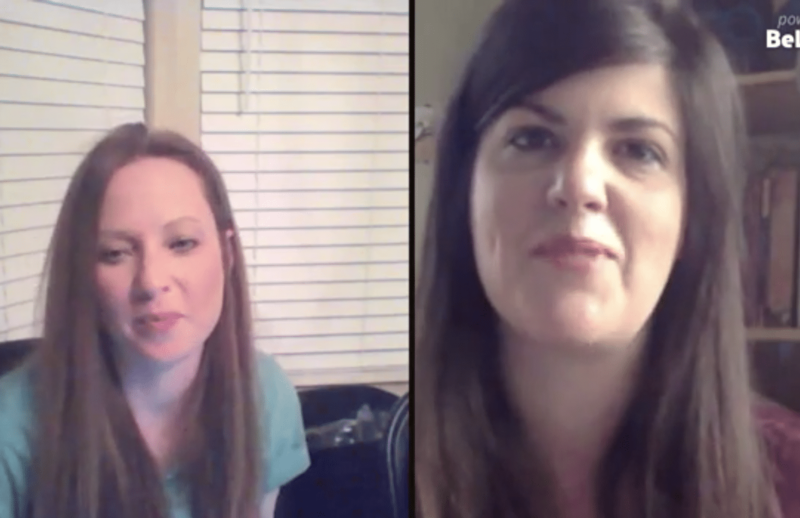 At the conclusion of this mom-to-mom, in-depth course, you'll find that being a stay-at-home mom is beyond rewarding and that you now have the ability, know-how and passion to soar. They'll see that your wings have spread and that your spirits have lifted!They'll see that you find great joy, happiness and satisfaction in just being there for your family. 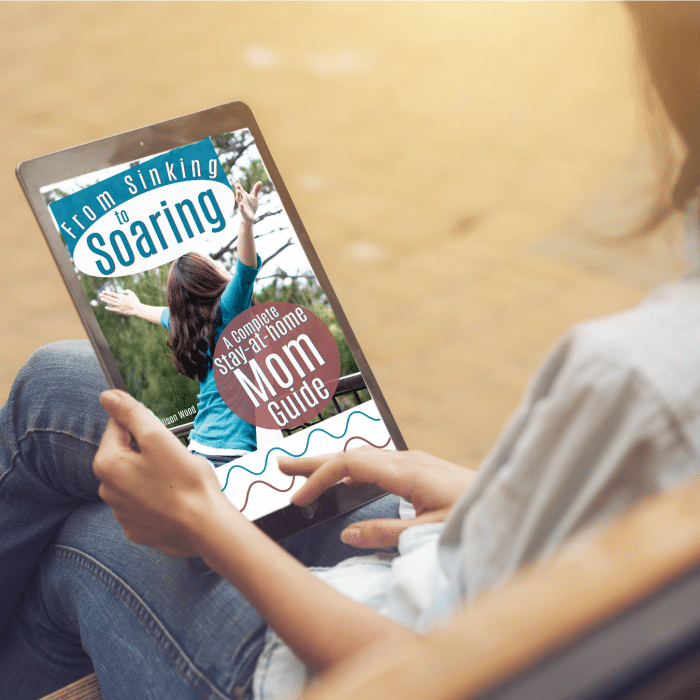 Join the From Sinking to Soaring Course and see your passion for the stay-at-home mom life re-ignite and burn fervently! 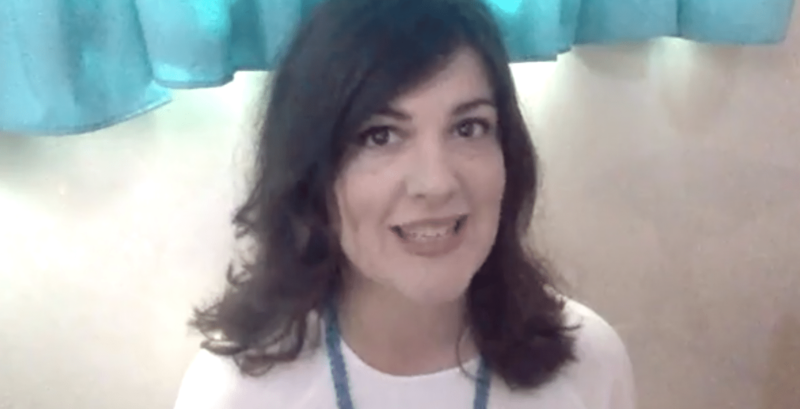 You'll feel more "put together" and less aimless as a stay-at-home mom. And we're here for you! 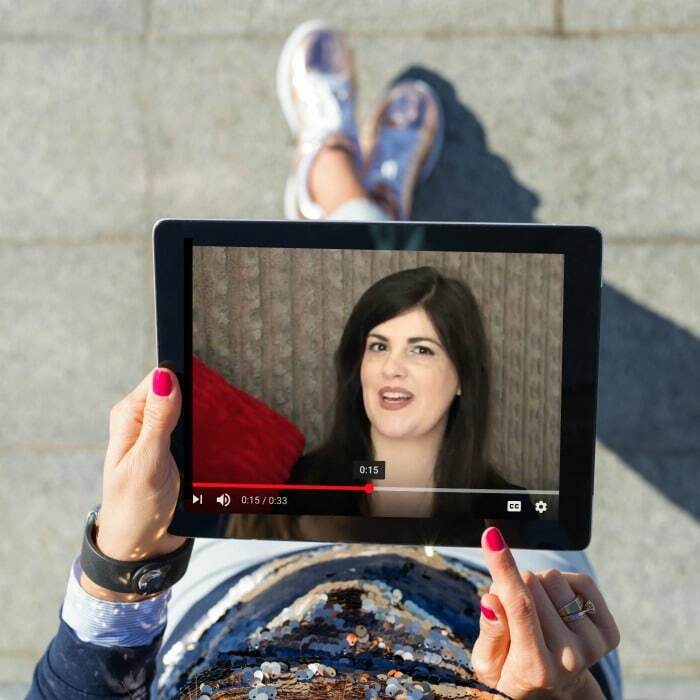 We've created an exclusive From Sinking to Soaring Facebook group where only moms who desire to soar in their stay-at-home mom journey can join.We even have weekly coaching that helps you get over those more difficult hurdles. It's a safe place to find hugs, encouragement and even the reminder to change some things when change needs to happen. I've been encouraging stay-at-home moms to thrive in their mom journey since 2012 and I've been enjoying a stay-at-home mom journey for 16 years. 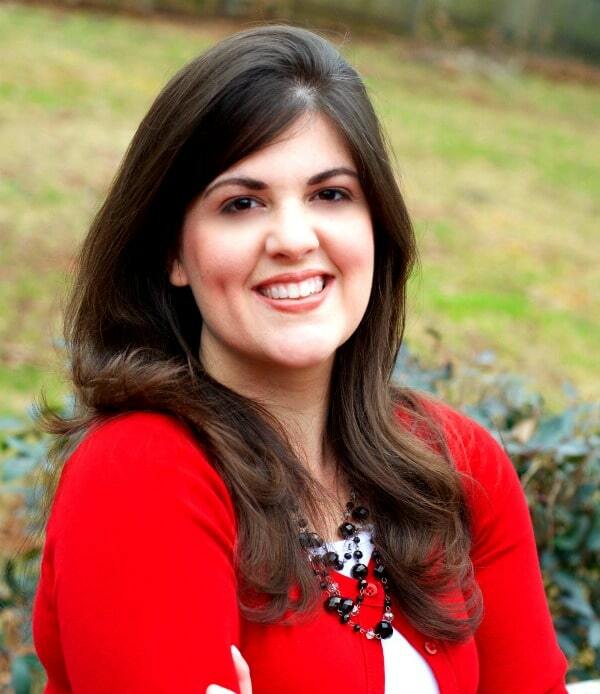 Taking my real-life passion as a stay-at-home mom, I've ventured out to help moms across the globe. I'd love to help you find your joy in your stay-at-home mom journey next! You can grab our complete course (17 videos, 17 printables and a printed course guide) for only $54.99! We also have a Premier Option available! This option includes the entire course and adds you to our exclusive Facebook group where we meet together and encourage each other! We offer group coaching once a month in the group where we can chat about your specific hang-ups, victories or struggles! We'll also share any additional stay-at-home mom journey resources that we think would help you soar even higher in your journey. Change your stay-at-home mom journey today, for the better! Let's Soar together!